This article summarizes changes implemented that affect SBA lending in the franchise context and that became effective in 2017. Within the franchise industry, financing backed by the SBA is one of the most important sources of funding for franchisees who wish to establish or grow a franchise. However, since the beginning of 2017, SBA funding within the franchising industry has undergone a paradigm shift in how the SBA determines whether a franchisee is eligible for an SBA-guaranteed loan. In addition, the article explores the fate of the SBA’s Franchise Registry website and what, if any, role it will play in the franchise industry going forward. According to the Small Business Administration (SBA), in 2010 there were 27.9 million small businesses (defined as an independent business having fewer than 500 employees), and only 18,500 firms with 500 employees or more. Of these U.S. businesses, the International Franchise Association, in its 2017 Franchise Business Economic Outlook estimates that in 2016, there were 732,842 franchised establishments in the United States. Consequently, for forensic accountants, economic damages experts, financial litigation consultants—as well as the attorneys who work with them and the judges who must evaluate their testimony—who review and analyze any one of these roughly 732,000 franchised businesses (or indeed with any small business), an understanding of SBA lending procedures is critical. This article summarizes SBA lending in the franchise context and describes the various changes that have occurred since the beginning of 2017. Within the franchise industry, financing backed by the SBA is one of the most important sources of funding for franchisees who wish to establish or grow a franchise. However, since the beginning of the year, SBA funding within the franchising industry has undergone a paradigm shift in how the SBA determines whether a franchisee is eligible for an SBA-guaranteed loan. In addition, the article explores the fate of the SBA’s Franchise Registry website and what, if any, role it will play in the franchise industry going forward. Under the SBA lending program, the federal government partially guarantees business loans that are made by private lenders. The attraction of this system to lenders is obvious; there is less risk from a default by the borrower because the federal government has partially guaranteed the loan. Within the franchise industry, there are two common types of SBA-guaranteed loans used by franchisees to fund the development and operation of their franchised businesses. Those are the Section 504 loan and the more frequently used Section 7(a) loan. While it has some value in the context of a franchised business, a Section 504 loan is less attractive because it is restricted to certain types of expenditures, mainly to facilitate the expansion of operations through fixed asset projects (for instance, land acquisition, construction of buildings, and the purchase of long-term capital equipment). Section 7(a) loans, on the other hand, offer much greater flexibility with respect to the franchisee’s use of the loan proceeds. Franchisees are allowed to use the borrowed funds for a wide variety of purposes, including: the payment of initial franchise fees; working capital needs; the costs of purchasing machinery, equipment, furniture, and fixtures; developing land and real estate (including purchase, renovation, and new construction); purchasing inventory, supplies, and raw materials; and even certain types of debt refinancing. However, only certain types of franchise arrangements are eligible for SBA financing. Notably in the franchise industry, Section 7(a) loans are not available to fund a franchisee’s execution of and performance under an area development agreement (wherein a franchisee is generally granted the right—and undertakes the obligation—to open several franchises within a given territory) or a master franchise agreement (wherein a franchisee is granted the right to grant “sub franchises” within a specified territory). The SBA views these types of arrangements as “inherently speculative” or “passive investments,” or both, and will not guarantee loans for those purposes. SBA-backed loans under Section 7(a) can be sizable—up to a maximum loan amount of five million dollars, well beyond the franchisee’s initial investments needs under most franchise programs. The SBA will guarantee up to 85% of loans of up to $150,000, and up to 75% on loans of up to five million dollars. Essentially, this means that the maximum SBA guarantee on a loan is $3.75 million (i.e., 75% of a five million dollar loan). As might be expected, the SBA requires that the loans it guarantees be secured by sufficient collateral provided by the franchisee. The value of the collateral must be sufficient to secure repayment of the loan. Because most franchisees who seek SBA-backed loans are borrowing funds to develop new businesses, there will typically be insufficient business assets to satisfy the SBA’s collateral requirements. In those cases, the SBA will require that the lender obtain a lien on the personal assets (such as a home) of the borrower’s principals. In addition, to qualify for the SBA guaranty, the SBA requires personal guarantees be obtained from certain owners of the applicant. In particular, all owners, whether individuals or entities, that own 20% or more of the applicant must provide an unlimited full guaranty of repayment of the loan. The nexus, or “affiliation,” between the franchisor and franchisee plays a significant role in determining whether the SBA will guaranty a loan to a franchisee. 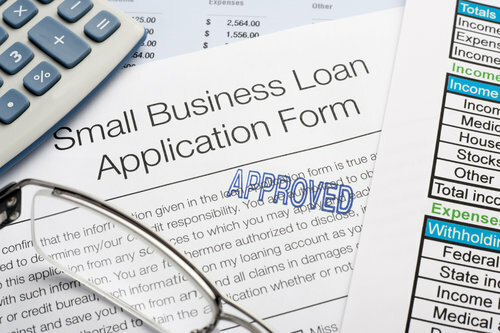 To qualify for an SBA-guaranteed loan, the loan applicant must be a “small” business. The definition of “small” can mean small in terms of physical size (meaning the number of employees the loan applicant had over the past 12 months), financial size (meaning the applicant’s average annual receipts over the past three years), or both. These factors depend on various factors such as the industry in which the loan applicant operates. Where the franchisor and franchisee are too closely “affiliated,” the franchisee will likely not be a “small” business since, for this purpose, it and the franchisor would be looked at together. Understanding the concept of “affiliation” in the context of the franchise industry is important. If the franchisee/applicant is “affiliated” with the franchisor, it will be deemed not to be “small” and will not qualify for an SBA-guaranteed loan. The key factor in making a determination of affiliation is independence. That is, the franchisee must, in the SBA’s view, be sufficiently “independent” of the franchisor. The SBA’s general test for affiliation/independence involves looking at whether one business can control another. In franchise agreements, the franchisor almost always asserts a significant degree of control over its franchisees. For the SBA’s purposes, the types of controls that generally allow the franchisor to protect its brand will not destroy the requisite “independence.” However, where those controls go beyond that sort of protection, the SBA takes the position that the franchisee is no longer “independent” or “small,” and it will refuse to guaranty the loan. The line between controls that are acceptable and those that are not, are not necessarily intuitive, but through the operational changes it announced late last year, the SBA has turned a perhaps murky line into a bright line. The process for obtaining an SBA-guaranteed Section 7(a) loan follows a typical procedure. First, the loan applicant (e.g., a new or existing franchisee) submits a loan application to a lender (such as a bank). The lender will make its own determination of the applicant’s eligibility for the loan and creditworthiness. Notably, the SBA is not involved in this first step of the process; the determination of eligibility and creditworthiness is strictly that of the lender’s. If the lender elects to move forward with the loan, then the next step will possibly require the SBA to be involved. It is at the next step in the process that the SBA has modified its procedures as of the beginning of 2017 to streamline the approval process. Under the old system, the lender would need to go through an evaluation process involving the Franchise Registry website to determine whether it could use a streamlined process for reviewing the franchise agreement and obtaining the SBA’s approval of the loan. If the franchise was listed on the Franchise Registry and the SBA had previously reviewed and approved the template documents, the lender could use the streamlined process. Under this streamlined process, the lender would not necessarily need to review the entire franchise agreement for problematic provisions in the franchise agreement that could cause affiliation, and, thus, ineligibility for SBA-guaranteed financing. Instead, it could rely on the fact that the SBA had previously reviewed the franchise agreement and associated documents and either approved them in the current form as not causing affiliation or negotiated with the franchisor a form of amendment to the franchise agreement to revise the problematic provisions. If the franchise was not listed on the Franchise Registry or had not yet received the SBA’s approval, then the lender would have to conduct its own review of the franchise documents to determine if there were any provisions that could cause affiliation, and thus ineligibility for SBA financing. In this case, unless it was a “preferred lender” (discussed below), the lender would still submit the documents to the SBA for review, which could take the SBA a significant amount of time to complete. Clearly, being listed on the Franchise Registry and having received pre-approval from the SBA was ideal since it helped streamline the approval process for the SBA-guaranteed loan. As further assistance to lenders, and to help decrease the administrative burden on the SBA from reviewing all these franchise agreements, the SBA designated some lenders under its “Preferred Lender Program.” Under the Preferred Lender Program, the SBA delegated authority to certain experienced lenders that met SBA’s qualifications (“preferred lenders”). These “preferred lenders” had the SBA’s authority to process, close, service, and liquidate SBA-guaranteed loans without review by the SBA. The Franchise Registry was established in the 1990s with the goals of streamlining the “independence” piece of the eligibility determinations for SBA-guaranteed loans to franchisees and creating consistency in the process of reviewing franchise programs for SBA eligibility. To meet these goals, franchisors who wanted to be listed on the Franchise Registry paid a fee to have their disclosure documents and program agreements reviewed by the SBA to ensure that the franchisee was adequately “independent” of the franchisor. In most cases, the SBA and franchisor would negotiate a form addendum to the standard franchise agreement to address any of the SBA’s “independence” concerns. Once the addendum was finalized, the franchisor’s program would be listed on the Franchise Registry, and, if the negotiated form of SBA addendum was signed by the franchisor and franchisee, there was no need for further SBA review of an individual franchisee’s loan package to determine whether the franchisee met the SBA’s independence requirement. Franchisors were required to renew their listings on the Franchise Registry each year when they completed the annual renewals of their Franchise Disclosure Documents. In recent years, the process of getting listed on and renewing listings on the SBA’s Franchise Registry had become expensive and extremely time consuming. The renewal process often left franchisees and their lenders in limbo as they waited three to six months or more for the SBA to complete its review and approve the renewal of the franchisor’s listing on the Franchise Registry. To get out of limbo, the lender would have to seek case-by-case review for each loan or, if it were a Preferred Lender, pays its lawyers to conduct the one-off review and negotiate a one-off franchise agreement amendment. That almost always delayed loan funding and, importantly, the development and opening of the franchisee’s business. In November 2016, the SBA announced that, as of January 1, 2017, it would no longer maintain the Franchise Registry and would no longer review each franchisor’s Franchise Disclosure Document and franchise documents for adequate independence. Replacing those processes would be a short, standardized, and non-negotiable generic franchise agreement addendum developed by the SBA that participating lenders would have to include in the packages they submit to the SBA if they want the SBA to guarantee the franchisee’s loan. If the lender’s package includes the addendum signed by the franchisor and borrower franchisee, the SBA will assume that the franchisee is sufficiently independent of the franchisor. Transfers of Ownership of the Franchisee: The franchisor cannot own an interest in the franchisee, so it will agree not to exercise its right of first refusal in connection with a transfer of partial ownership interests. Also, the franchisor will agree not to unreasonably withhold its consent to such a transfer. Franchisor’s Option to Purchase: If the franchisor exercises an option to purchase the franchisee’s assets but there is disagreement on the purchase price, the value must be determined by an appraiser chosen by the franchisor and franchisee. Real Estate: The franchisor’s purchase option cannot include real estate if the franchisee owns the premises, but the franchisor can require the franchisee to lease the real estate to the franchisor for the remainder of the franchise term for a fair market value rent. The franchisor cannot record against the real estate any restrictions on the use of the property, such as restrictive covenants, branding covenants, or environmental-use covenants. Employment Matters: The franchisor cannot directly control the franchisee’s employees, by, for instance, hiring, firing, or scheduling the employees. However, just six weeks into the implementation of this new process, the SBA announced a temporary change to its process. These changes went into effect on February 14, 2017, and, until further notice, SBA lenders have the option to submit to the SBA, with their loan packages, either: 1) the new standardized SBA franchise agreement addendum (which the SBA slightly modified from the original version promulgated at the beginning of 2017); or 2) if the franchisor has a form of SBA addendum that was approved by the SBA in connection with either a 2015 or 2016 version of the franchisor’s franchise agreement, that form of SBA addendum along with a standardized certification form signed by the franchisor, in which, among other things, the franchisor will certify that the SBA has previously reviewed its 2015 or 2016 franchise agreement, including the form of SBA addendum that is being submitted, and has determined that the franchise agreement with the 2015 or 2016 form of SBA addendum did not create an affiliate relationship between the franchisee and franchisor. In addition to requiring this signed addendum, the SBA recommends—but does not require—that participating lenders also consider seeking an agreement from franchisors that: 1) allows the lender and the SBA to access the franchisor’s books and records relating to the franchisee’s billing, collections, and receivables; 2) provides that upon default of the loan, the franchisor will agree to defer the franchisee’s payment of fees, royalties, marketing fund contributions, and other amounts owed to the franchisor; 3) provides the lender with 30 days’ notice of the franchisor’s intent to terminate the franchisee’s franchise agreement; and 4) provides the lender with the opportunity to cure any defaults under the franchise agreement. Most franchisors are unlikely to agree to these additional requirements. These new procedures will greatly streamline the SBA process and hopefully relieve franchisors’ frustrations with what have been extremely long and costly reviews associated with listings on the Franchise Registry and annual renewals. But, as with any significant change like this, there may be hiccups on the initial roll-out, and there will be questions. Even lenders from large, national banks have been using outdated forms and processes in connection with the rollout of the SBA’s new process at the beginning of this year. With such fast-changing implementation, franchisors will have to be diligent when dealing with franchisees who seek SBA-guaranteed loans. The Franchise Registry is a public/private program administered by FRANdata, a private company headquartered in Washington, D.C. It is important to understand the role of FRANdata in the SBA’s approval of franchisee loan applications now that the SBA will no longer maintain the Franchise Registry. FRANdata will still be providing services to franchisors and lenders, which FRANdata contends will help streamline the loan application and approval process. These services include: franchisor access to any lender issues, a financial consultation call with the franchisor and a representative from FRANdata, up-to-date information on all relevant information in the industry, and visibility to lenders that come to the Franchise Registry website for information. However, before spending money for FRANdata’s services, franchisors should remember that a listing on the Franchise Registry is not required for its franchisees to qualify for SBA-guaranteed financing. Samuel G. Wieczorek is an experienced attorney in Chicago, Illinois, with Cheng Cohen LLC, where he concentrates his legal practice on advising franchisors and other businesses. Cheng Cohen is recognized as one of the leading franchise firms in the country providing franchisors, licensors, and manufacturers with the comprehensive business-oriented legal services, litigation support and development assistance needed to efficiently and effectively expand their brands around the world. Most recently, the firm received Tier 1 recognition in the 2017 U.S. News Best Lawyers® Best Law Firms listing for excellence in franchise law for the seventh year in a row. Mr. Wieczorek can be contacted at (312) 957-8367 or by e-mail to Samuel.Wieczorek@chengcohen.com.